Portugal Away Kit, Shirt, Shorts & Socks. Order Now! Following their Euro 2016 victory the popularity of the Portuguese national football team has increased dramatically. Kids and adult around the globe have begun to follow Cristiano Ronaldo and Co. Demand for the Portugal Away Kit as well as other team kits and merchandise has skyrocketed. We stock the official Portugal away shirt, shirts and socks in a full range of sizes, so don’t delay and place your order online at Soccer Box. Nike is the long-term kit supplier for Portugal and they have produced some stunning away kits during their tenure. One of the most striking and popular away kits has been the 2016/17 shirt, shorts and socks. Featuring a green Portugal away jersey, with coordinating green shorts and black socks this kit has been a hit with football fans. 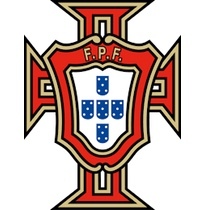 Since 1966 the traditional colour of the away kit for the Portuguese national team has been white. Up until 2006 the team’s away shirt was exclusively white usually featuring red or navy blue accents. In 2006 Nike introduced a striking black away kit featuring yellow detailing. Over the past decade white has remained the dominant colour, but black was used for the 2013 and 2015 kits. What do you think of the changing colour and styles of the Portugal away soccer kit? Do you have a preference for colour scheme? Do you have a favourite shirt from the past? Find us on social media, tell us your thoughts and upload pictures of your most cherished Portugal away jerseys and kits. As previously mentioned, Cristiano Ronaldo is undoubtedly the star of the Portugal team, and one of the reasons many fans are looking to purchase Portuguese football kit. Ronaldo is the country’s highest capped player as well as the leading goal scorer, at the time of writing, and draws fans from around the globe. We are supplied directly by Nike guaranteeing that you are shopping for genuine football kits. We stock the little kids away kit, which includes the Portugal shirt, shorts and socks and is available to fit children from 3-8 years. 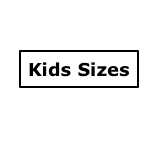 For older junior and adult sizes the jerseys, shorts and socks are available as separate items. Or maybe you are looking at getting kitted out in the Portugal training kit, also available to purchase here, but hurry stock is selling fast so order yours now. Whether at home or away there is always a show to watch when Portugal is playing. Skill and desire to win is evident in every member of the squad, so don’t delay and order your Portugal away kit today. We aim to keep our prices low, our customer service team is available during business hours by phone or email, and we offer worldwide delivery options to ensure a hassle free shopping experience.